The mid-sixties were heady times for many and SMiLE was to be a heady album in tune with those times. The new experiences experienced firsthand by the adventurous were often best expressed and explained via the philosophies and religions of other cultures. "…mostly they talk about love as all songwriters have since time began. Only this time it's either a cool kind of love or a frankly sexual love, or, and this is most important, universal love, a mystic Oriental concept that is presumably attainable through meditation or a withdrawal from the establishment or most readily through drugs." 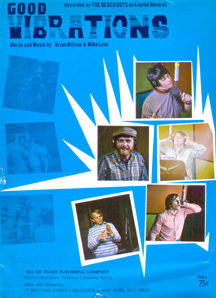 Brian Wilson wanted to create something that would be considered "a good piece of love, of spiritual love." In May of 1966 The Beach Boys released Pet Sounds. 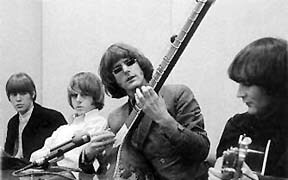 Another Los Angeles group, The Byrds, were also seeing things along these same lines. "I opened my heart to the whole universe and I found it was loving" they sang on "5 D." Van Dyke Parks played organ on "5 D," the title track from The Byrds 1966 album the Fifth Dimension. On a promotional interview record for the LP (heard at the end of the '96 reissue CD) Jim McGuinn and David Crosby talk about love, good groups giving love, and 'philosorock' or rock with philosophy. Although not stated, they clearly mean Eastern philosophy. "The drug revolution is just coming about and, uh, there are going to be a lot of heads rolling from it....And I think that these drugs will enhance their consciousness and make them perhaps more loving or more understanding of the universe, more understanding of life." "Innerness, mysticism, and love are their alternatives to political action." "It's not political, it's personal, it's inward, it's inner illumination, it's inner peace and inner harmony. That's why the interest in the East." 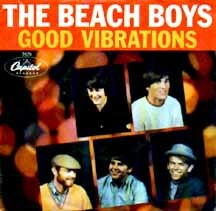 In the summer of '66, Brian Wilson hired Van Dyke Parks to write lyrics for The Beach Boys' next album. Originally titled Dumb Angel it was later renamed SMiLE. "That music should not have been Beach Boy music. And I'll always feel that way. I think that not because I don't think the Beach Boys pulled it off or whatever. But I think it was such a personal vision of Brian's that I don't think anyone should have been allowed to mess with it....It was very personal." "The psychedelic artist is an artist whose work has been significantly influenced by psychedelic experience and who acknowledges the impact of the experience on his work." "The result is psychedelic art: works of art attempting in some sense to communicate psychedelic experience, or to induce psychedelic experience, or at least to alter consciousness so as to approximate aspects of the chemically induced state." -Masters & Houston from Psychedelic Art (1968). 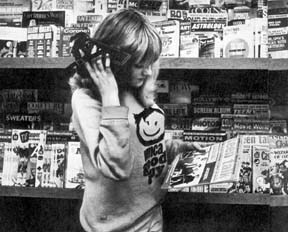 "Psychedelic music will cover the face of the world and color the whole popular music scene. Anybody happening is psychedelic." "I think that we're out to break down those barriers that we see to be arbitrary, the big fences that have been built, you know, the walls that will crumble if hit hard enough. And we're out there hitting them. We're cutting them subtly. We're cutting them with laser beams and not dynamite. We're doing other things here. We're cutting them with emotions, which are stronger than fists, and we're getting mass emotions involved....I feel there's some sort of guerrilla warfare going on, some sort of psychological warfare going on. I feel like a guerrilla. I feel good." This website maintains that Brian Wilson's secret weapon to break down barriers and communicate the religious psychedelic experience was the riddle, the Zen koan. "Lord Buckley said that the entertainers now are the new clergy." Zen was popular with the Beat Generation, surfers, and the Hippies. The Good Humor SMiLE Site!
" ...what Zen proposes for us to do is: To seek Enlightenment for oneself and to help others attain it." "'Never completed, never released, Smile has become the most enigmatic record in the history of rock. Those who heard the "work in progress" swear to this day that Smile would have turned the music world on its ear had it been finished and released on schedule in early 1967.'" ~David Leaf, from the Brian Wilson press kit. vibrations of color, vibrations of sound, vibrations of texture, vibrations of emotion and feeling. And when we are babies we experience it just as a whole muttering jazz of different textures of experience. what vibrations are good and what vibrations are bad. And naturally, because as little infants we are very impressionable, we believe what they say." ~ Alan Watts, from the film ZEN: The Best Of Alan Watts by Elda Hartley. "...anything we experience through our senses, whether sound, light, or touch, is a vibration. Now, a vibration has two aspects: one called "on," and the other called "off." Vibrations seem to be propagated in waves, and every wave system has crests and troughs. So life is a system of now-you-see-it, now-you-don't, and these two aspects always go together. and that is simply the way things are. However, one must remember that the crest and the trough of a wave are inseparable. Nobody has ever seen crests without troughs or troughs without crests. you do not encounter a coin that has heads but no tails. the positives and the negatives are different, they are at the same time one. and that what is explicitly two can at the same time be implicitly one." ~Alan Watts, The Tao Of Philosophy, Pub. 1999, (pg. 72. )"The physical world is vibration, quanta, but vibrations of what? To the eye, form and color; to the ear, sound; to the nose, scent; to the fingers, touch. The question, "Of what are they differing forms?" seems to have no meaning. What is light to the eye is sound to the ear. but of each other, locked in a circle of mutuality. which becomes smell, which becomes taste, and then touch, and then again shape."